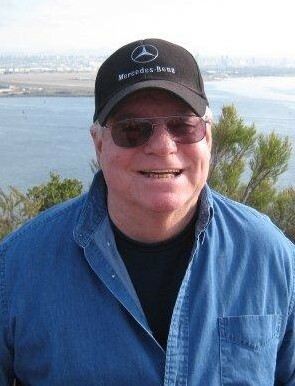 Thomas (Tom) Hamilton Patton Jr, of Henderson, NV, passed away March 18th 2019 at home. He was born in Greenfield, MA on November 17th, 1945 to Thomas Hamilton and Bernice May (Hartwell) Patton. He was the oldest of 8 children. He served in the United States Navy for 8 years, and was a veteran of the Vietnam Conflict. He was awarded the Navy Achievement Medal on March 3rd, 1971 for heroic achievement in the rescue of a shipmate who had fallen overboard. After leaving the Navy, he married Charlene Rio, July 7th, 1984. He spent 21 years with San Diego Gas & Electric in various roles. Tom was a member of the International Brotherhood of Electrical Workers. Tom was preceded in death by his parents, sister Patricia, and brother David. He is survived by a son, Thomas H. Patton III (Janet), step-daughter Cristine Lestage, and two step-sons, Daniel Rio and Richard Rio (Cindy), four brothers: James, Kenneth, Ronald, Jerry, and one sister, Pamela Olmstead, 1eleven grandchildren and two great grandchildren and many nieces and nephews.